Here is a round up of metrics for November 2017. For all social media, the item shown is the most popular this month. Hidden pollution beneath our feet threatens water supplies worldwide. Groundwater researchers at the British Geological Survey (BGS) have found a major store of pollution sitting in the rocks beneath our feet that could have severe global-scale consequences for our rivers, water supplies, human health and the economy. SEISMIC ALERT : TARBERT, ARGYLL & BUTE 1 NOVEMBER 2017 20:59 UTC 2.5 ML. Reached 7882. #OTD in 1797, Sir Charles Lyell was born so today would have been his 220nd birthday!. 122 favourites, (17,222 impressions). A crushed pegmatite from Loch Maree, Rosshire in Scotland.. 219 likes. 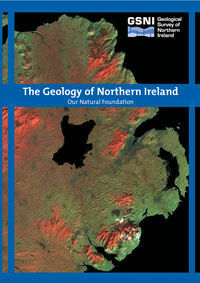 ‘Killer facts’ supporting geology in schools and colleges... Prof. Chris King. 2562 views.